Wrangler JK (2007 - Present): Total new redesign of the Wrangler platform offering an even more improved ride and interior comfort. Gone is the 4.0HO Inline 6 and it's replaced with a new 3.8L V6 engine. Plastic front fenders and grill. Coil Sprung 5 link suspension. 95.4" wheel base. 5 on 5" rim bolt pattern. Three Piece Modular hardtop. Power windows and door locks options with side air curtains. Wrangler JK Unlimited (2007 - Present): Total new redesign of the Wrangler platform offering an even more improved ride and interior comfort. Gone is the 4.0HO Inline 6 and it's replaced with a new 3.8L V6 engine. Plastic front fenders and grill with 4 doors. Coil sprung 5 link suspension. 116" wheelbase. 5 on 5" rim bolt pattern. Four piece modular hardtop. Power windows and door locks options with side air curtains. Wrangler TJ Unlimited ('04 - '06): Windshield width 55". Round headlights. Center Tailgate mounted spare tire carrier with brake light. Tailgate opens to the side. 103.4" Wheel base. Coil spring 5 link suspension. Equipped with both driver and passenger side air bags. 5"x4.5" rim bolt pattern. Wrangler TJ ('97 - '06): Windshield width 55". Round headlights. Center Tailgate mounted spare tire carrier with brake light. Tailgate opens to the side. Measures 81" from door hinge of vehicle. 93.4" wheelbase. Coil spring 5 link suspension. Equipped with both driver and passenger side air bags. 5"x4.5" rim bolt pattern. Wrangler YJ ('92 - '95): Same as Wrangler models '86 1/2 - '91 except for extended rear sport bar to accommodate rear 3 point seat belts. 93.4" wheelbase 5"x4.5" rim bolt pattern. Wrangler YJ ('86-1/2 - '91): Windshield width 55", round fender Jeep, one-piece windshield, factory roll bar with horizontal supports. Similar in design to CJ7, but with rectangular headlights and turn signal lights, and a squared off front grille. Comes with either half or full hard doors. Measures 81" from door hinge to rear of vehicle. 93.4" wheelbase. 5"x4.5" rim bolt pattern. CJ8 ('81 - '85): Windshield width 55", round fender Jeep, one piece windshield, factory roll bar, bottom mounted windshield wipers, factory mounted door hinges, has either no windshield retainer or screw-in design. Door opening looks like a "U" rather than an inverted "S". CJ8 is same as basic CJ7 but with longer rear over hang and 103.5" wheelbase. 5"x5.5" rim bolt pattern. CJ7 ('76 - '86): Windshield width 55", round fender Jeep, one piece windshield, factory roll bar, bottom mounted windshield wipers, factory mounted door hinges, has either no windshield retainer or screw-in design. Door opening looks like a "U" rather than an inverted "S". Measures 81" from door hinge to rear of vehicle. 93.5" wheelbase. CJ8 is same as basic CJ7 but with longer rear over hang and 103.5" wheelbase. 5"x5.5" rim bolt pattern. CJ6 ('55 - '75): Windshield width 59", round fender Jeep, one piece windshield, no factory door hinges, windshield retainer welded on vehicle, windshield at 90° angle to hood. CJ6 is the same basic vehicle as an early model CJ5 except with an extended rear body tub and 101" wheelbase for '55-'71 and 103" wheelbase for '72-'75. 5"x5.5" rim bolt pattern. CJ5 ('76 - '83):Windshield width 55", round fender Jeep, one piece windshield, factory roll bar, bottom mounted windshield wipers, factory mounted door hinges, windshield retainer screws on, sloped windshield. Measures 71 1/2" from door hinge to rear of vehicle. 5"x5.5" rim bolt pattern. 83.5" wheelbase. M38A1 ('51 - '71) & CJ5 ('55 - '75): M38 with 80" Wheelbase and CJ5 with 81" wheelbase. Windshield width 59", round fender Jeep, one piece windshield, no factory door hinges, windshield retainer welded on vehicle, windshield at 90° angle to hood. CJ6 is the same basic vehicle as an early model CJ5 except with an extended rear body tub and 101" wheelbase for '55-'71 and 103" wheelbase for '72-'75. 5"x5.5" rim bolt pattern. CJ3B ('53 - '64): Windshield height 22 1/2", hood height 10 1/2" (fender to top of hood), one-piece windshield, has tailgate, bottom mounted windshield wipers, side mounted tire carrier (factory). 5"x5.5" rim bolt pattern. 80" Wheelbase. CJ3A & M38 ('48 - '53): Windshield height 27", flat fenders, one piece windshield, vent in middle of windshield (factory), bottom mounted windshield wipers, hood height 6" (fender to top of hood). 5"x5.5" rim bolt pattern. 80" Wheelbase. CJ2A & M38 ('46 - '49): Windshield height 25", flat fenders, split windshield, has tailgate, top mounted windshield wipers, side mounted spare tire (factory), hood height 6" (fender to top of hood). 5"x5.5" rim bolt pattern. 80" Wheelbase. Willys MB & Ford GPW ('41 - '45): Windshield height 23", flat fenders, split windshield, no tailgate, recessed headlights top mounted windshield wipers, rear mounted spare tire (factory), hood height 6" (fender to top of hood). 5"x5.5" rim bolt pattern. 80" Wheelbase. The Willys chassis front cross-member is tubular, while the Ford GPW is an inverted U shape. The GPW tends to also have a Scripted F on all sub assemblies and bolts if factory. Jeep Commando C104('72 - '73): Jeep roadster with either a full soft top, a half hardtop forming a truck. Wheel base is 104" forming the model number. AMC strayed away from the traditional Jeep front end design. Often mistaken for an International Harvester or Ford Bronco. Jeepster Commando C101('67 - '71): Jeep roadster with either a full soft top, a half hardtop forming a truck. Wheel base is 101" forming the model number. Jeepster VJ('48 - '51): 2wd convertable sports car Jeep produced by Willys Overland on the 4-63 chassis (Willys 4x2 wagon). Dispatch Jeep DJ5 & DJ6 ('65 -' 82): The DJ-5 was introduced in 1965 which is the postal Jeep most people are familiar with today. They also produced a long version from 1965 until 1968, the DJ-6. The DJ-5 was made by Jeep into the early 70s and production continued under AM General till 1982. All DJ models were 2wd. 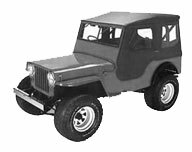 Dispatch Jeep DJ3 ('56 - '65): The DJ-3A was a flat fender postal Jeep similar to the CJ-3A except it was two wheel drive. It was produced from 1956 until 1965. All DJ models were 2wd. Jeep Compass MK(2007 - Present): Front Wheel Drive Jeep with variable speed transmission. Uses a four-cylinder 2.4L engine. The base car features front wheel drive, but a choice of two elec.-controlled drive systems is optional; Freedom Drive I is a full-time system for on-road use. Freedom Drive II is made for off-road use with variable torque between speeds of 25 and 65 mph for optimal handling. 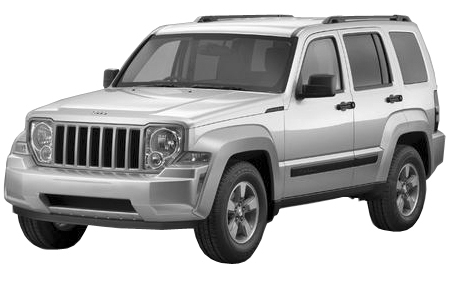 Jeep Patriot MK (2007 - Present): Based off of the Compass Platform with many of the same features. The base car features front wheel drive, but a choice of two elec.-controlled drive systems is optional; Freedom Drive I is a full-time system for on-road use. Freedom Drive II is made for off-road use with variable torque between speeds of 25 and 65 mph for optimal handling. 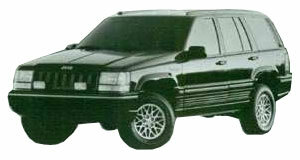 Jeep Cherokee XJ ('84 - '01): An entirely new concept when it was released as it was the first uni-body Jeep vehicle. It had no frame and the suspension was attached directly to the subframe. It also was the first coil spring Jeep with the same system copied to the TJ and the ZJ and later on transformed into the WJ, WK Grand Cherokee's. It was available in both two and four door configurations. A common misconception is though that the two door version had a shorter wheelbase than the four door but in reality, they were the same measurements. 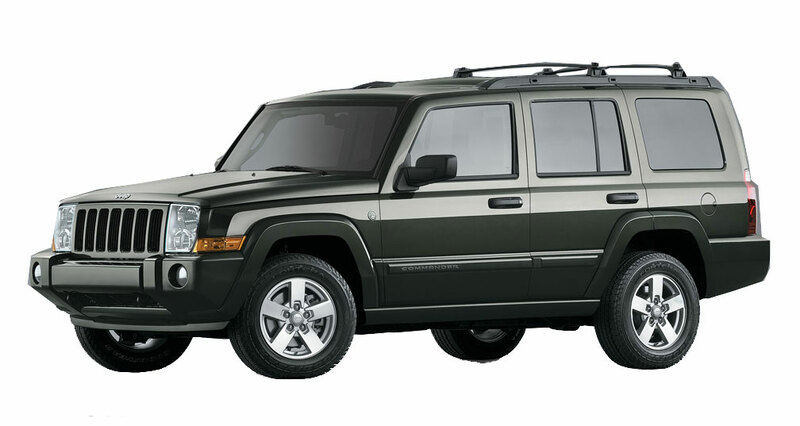 Jeep Liberty ('02 - '07 KJ): With the demise of the Cherokee Jeep released a new vehicle in 2002 with IFS and more modern comforts. The liberty returned to the round headlight look and offered many versions in both 2 and 4 wheel drive. In 2005 it was offered with CRD Diesel motor that was later discontinued for emission reasons. In Europe the Liberty was marketed as the Cherokee. 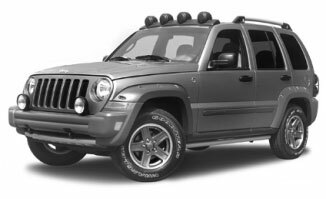 Jeep Liberty (2008 - Present KK): The 2008 model year Liberty was a totally new platform offering a more comfortable ride, more room and new rugged styling. Also released was the all new Sky View retractable top to give the Liberty owner a taste of the Wrangler experience. Jeep Grand Cherokee ('93 - '98 ZJ): Larger than the XJ Cherokee and optionally equipped with a v8 engine the Grand Cherokee ZJ is a power house. The first Jeep vehicle to use the Quadra-Coil design later translated over to the TJ Wrangler suspension system. Equipped with an optional Quadra-trac II transfer four-wheel drive system this Jeep become an instant hit on the highway and the trail. Jeep Grand Cherokee ('99 - '04 WJ): The replacement for the ZJ with more modern lines and increased interior space by sinking the spare tire under the cargo area floor. 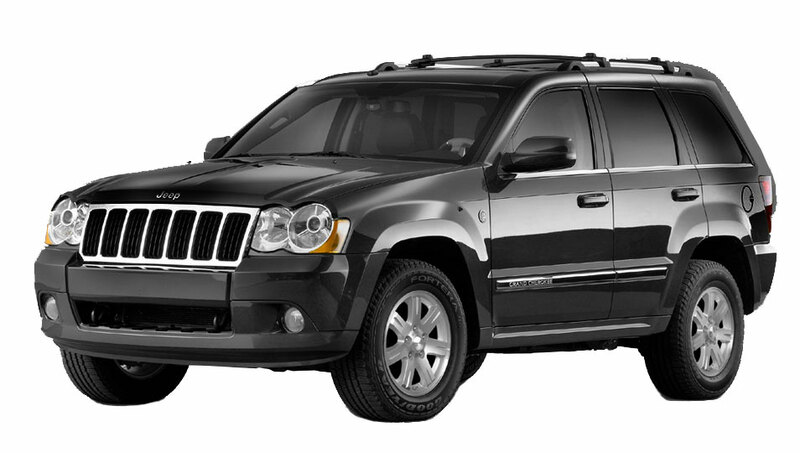 Jeep Grand Cherokee (2005 - Present WK): A redesigned platform that went away from the solid front axle and to IFS. The new Grand Cherokee also featured the option of the Hemi 5.7L v8 engine and introduced the Jeep SRT 8 Grand Cherokee. A vehicle that could literally be taken from the trail to the track in terms of performance. Jeep Commander (2006 - Present XK): Built on the WK platform the drive trains are nearly identical. This is the first 7 passenger vehicle by Jeep and is very reminiscent of the XJ platform with its boxy front end and very angular body lines.